I mentioned yesterday that it wouldn’t take long before we hear Sacha Kljestan’s name being mentioned by several European clubs for a transfer move. Today we get a report that Dutch club FC Twente is interested in the Chivas USA midfielder. He could join former England boss Steve McClaren at Twente if they can make an offer MLS will accept. Expect that offer to be in the $2 to $4 million range from the reports I’m reading like this one from SBI. I’ve been told that there are a couple other Dutch clubs that are interested in Kljestan after his performance against the Dutch Olympic team a week or so ago in that 2-2 draw. No word yet on a club other than Twente at this time but anytime you go on the international scene and play as well as Kljestan did you are bound to get some offers like one potentially from Twente. Is it Kljestan’s time to move across the pond? Maybe, I would like to see him here for another year but as I mentioned before his time will come sooner rather than later to make the jump to a bigger league. What do you make of this news? Good for Sacha? 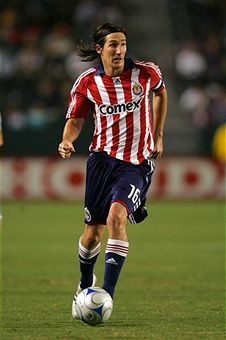 Think the season could get any worse for Chivas if they were to lose their best player? Sacha has loads of potential but is a typical MLS player in regards to his outstanding work rate, speed and finishing touch but also his bad first touches on the ball and bad decisions in the final third. Holland is arguably the most technical league in Europe so he's bound to have troubles there. A league like Scotland or England where mistakes are more frequent and the pace is quicker may suit his skill set better. Sacha has loads of potential but is a typical MLS player in regards to his outstanding work rate, speed and finishing touch but also his bad first touches on the ball and bad decisions in the final third. Holland is arguably the most technical league in Europe so he’s bound to have troubles there. A league like Scotland or England where mistakes are more frequent and the pace is quicker may suit his skill set better.